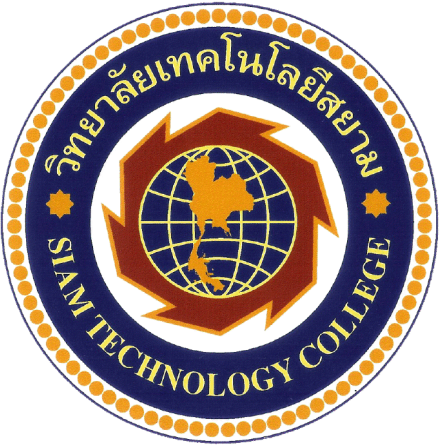 Siam Technology College is one of the leading private higher education institutions in Thailand. Siam Technology College aspires to manage education to promote graduates, both undergraduate and postgraduate, with degrees that incorporate theoretical and practical skills from a variety of disciplines. By providing academic and professional training, students are better able to keep up with the rapid pace of changes in the technology industry. Moreover, the graduates of Siam Technology College leave with a set of highly desirable skill set that meet the needs of the labor market. Additionally, our graduates are well-prepared to help the country develop its economic and social potential. As Thailand has been progressing towards becoming an industrialized country, it has continuously faced hardships due to a shortage of qualified personnel possessing both knowledge and appropriate skills. Realizing that Thailand was in dire need of people with industrial skills, Dr. Narong Mongkhonvanit took on the responsibility of resolving this shortage. 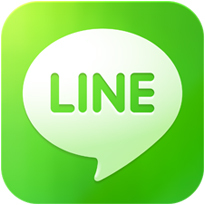 In 1965, he established Thailand’s first private vocational institution that could provide students with job-oriented training. 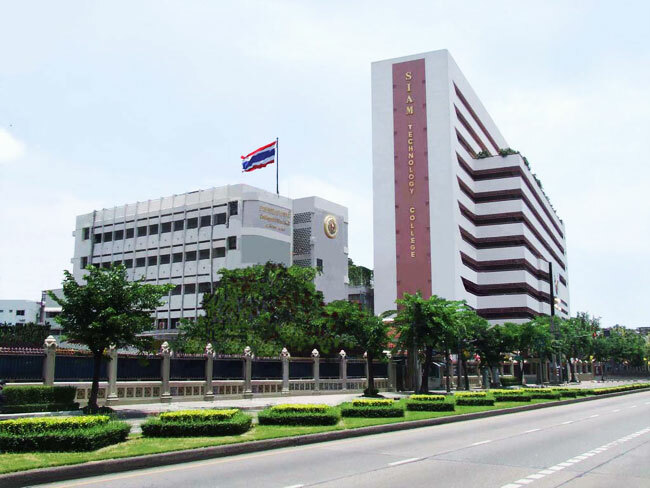 He and named the new school: “Siam Institution of Technology.” Over the course of the past several decades, the institution expanded its vision, added a Commercial Department to its curriculum and changed its name to Siam Technology College (Siam Tech). From its inception, Siam Technology College has been regarded as one of the leading vocational institutions in Thailand. 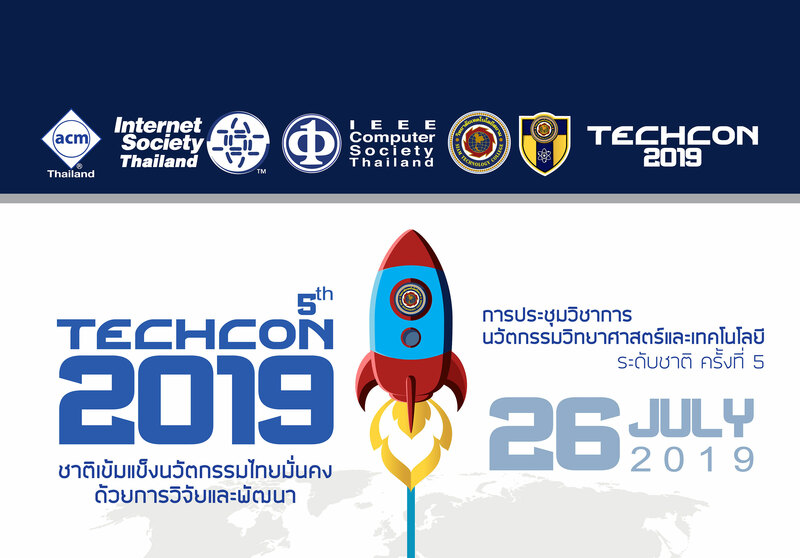 Through the growth of its structure as a leading and innovating institute, Siam Technology College has demonstrated a solid commitment to contribute back to Thai society and youth. The year 2005 marked the 40th year anniversary of the institution, and the time arrived to take yet another new step. Aiming at advancing into a new level of educational development, Siam Technology College (Siam Tech) decided to establish a new institution simply called “Siam Technology College.” Siam Technology College was opened its doors in 2006. The 800+ square meter campus is adjacent to (but distinctly separate from) Siam Technology College (Siam Tech). Initially, the goal of the new college was to provide an additional avenue of study for graduates from Siam Tech; however, Siam Technology College now features a growing list of degree programs for students interested in pursuing business and technology-related degrees. Enshrined in the college’s curriculum are the fundamental principles of equality and continuity, focusing on educating students from all educational backgrounds throughout Thailand and ASEAN. “The vision of Siam Technology College is to become an integrated partner with Thai business and industry. We are committed to providing both knowledge and practical skills to our students who can then best meet the needs of business and industry. 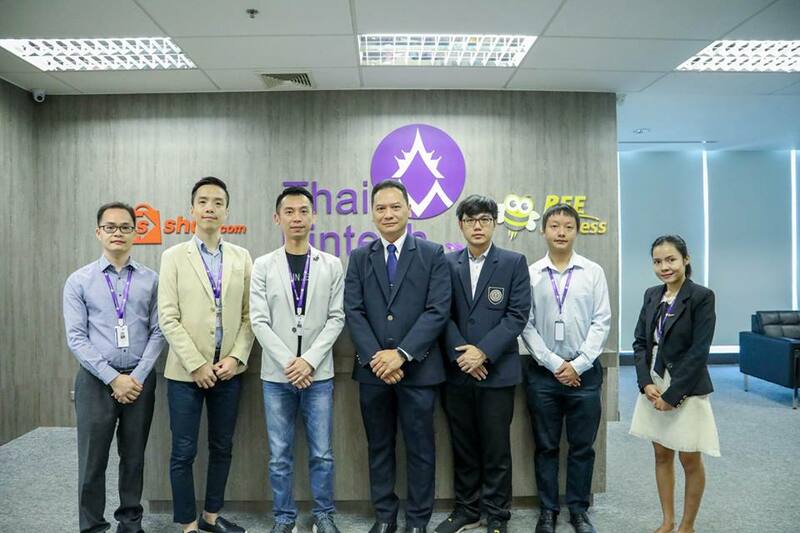 We also aim to enable our students with strong analytical tools to recognize and resolve problems and to have the necessary skill set to deal with societal issues as well,”stated by Mr. Pornphisud Mongkhonvanit, the president of Siam Technology College. 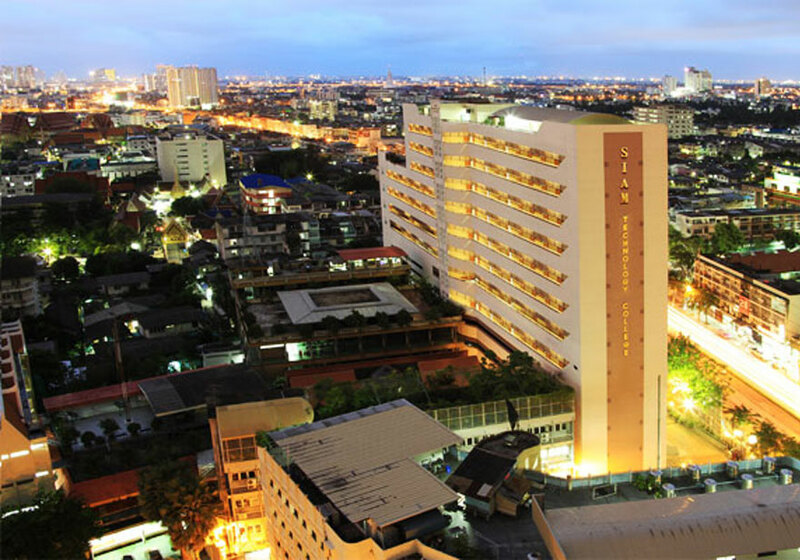 Siam Technology College is located on 46 Charan Sanit Wong Rd, Wat Thapra, Bangkok Yai District, Bangkok, with a total area of 816.75 square meters. Conveniently located to many bus routes (42, 57, 68, 80, 81, 91, 108, 146, 175, 189), access to the college will further expand once the Blue Line of the Mass Rapid Transit Train (MRT) opens, with a station (Charan Sanit Wong 13) directly adjacent to the campus. Siam Technology College has facilities that are fully equipped with all necessary teaching aids and tools. The administration building (Building No.9) is a 12-story building with a basement for car parking. Classrooms, laboratories, executive management’s offices, and faculty members’ offices are located throughout the building. There are large and small auditoriums on the fourth floor, as well as a library on the third floor. Both students and faculty members all have full access to materials that are provided in the library.